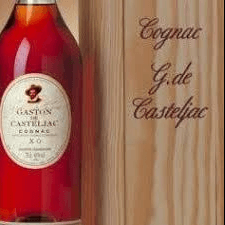 1973 Cognac Gaston de Casteljac is a product of manual production that preserves the product's balanced quality. In order to maintain its intense aroma, cognac is distilled very slowly, without filtration. Only a few barrels are specified for each vintage. Cognac is made from the same varieties of wine as in the 18th century.